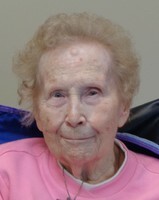 Provide comfort for the family of Dorothy Haugh with a meaningful gesture of sympathy. To plant a memorial tree in honor of Dorothy Marie Haugh, please visit our Heartfelt Sympathies Store. She was one of the sweetest women I ever met I will miss her so much!!! My sympathy to Penny and your entire family!! !